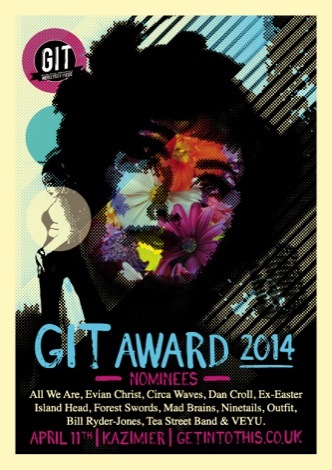 Getintothis exclusively reveals the 12 nominees for the GIT Award 2014. Liverpool’s premier music prize, The GIT Award can today reveal the 12 shortlisted artists for the 2014 edition. This year’s shortlist was selected by national industry figureheads consisting of The Quietus editor John Doran, Music Week editor Tim Ingham, former Creation Records‘ boss Alan McGee, BBC Radio 6 Music‘s Camilla Pia, author and journalist Simon Price, Popjustice editor Peter Robinson, Guardian journalist Jude Rogers, XFM deputy programme manager and Head of Music Mike Walsh and NME radar editor Matt Wilkinson. The industry showcase on Friday April 11 is strictly invite only and will include performances from the shortlisted artists plus an aftershow and specially produced set piece spectacles by the Kazimier team. This year, the Kazimier team will transform their unique setting into a decadent night of lavish 70s pomp and glitz complete with sequins, navel grazing necklines, ultrasuede leisure suits and all manner of shimmer and sparkle as guests are invited into a gold lame world of an era trying desperately to cling onto its fading grandeur. Fifty lucky souls will also have the chance to log on to the Kazimier website and obtain a pass to this once-in-a-lifetime occasion. 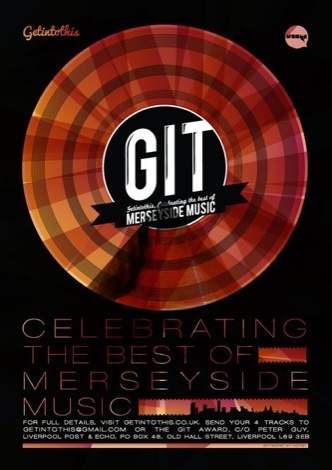 On the night, the overall GIT Award winner will receive a cash prize of £1,000 and a special Inspiration Award, recognising services to Liverpool’s music industry (won by The Hillsborough Justice Collective in 2013 and the team behind The Kazimier in 2012), will also be presented. 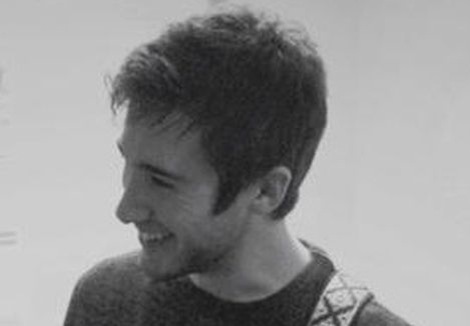 New for the GIT Award 2014 edition, an under-18 artist will receive the One To Watch Prize receiving studio time at Liverpool’s legendary Parr Street Studios, mentoring from sponsors Merseyside Arts Foundation and a slot at the Liverpool International Music Festival. Liverpool music lovers know their city is home to some of the finest creative talent in the world. However, eyes and ears elsewhere may need convincing. The inaugural 2012 GIT Award readdressed all that and its 2014 edition is set to spread the message even further. Limited tickets & event link, Monday March 3. 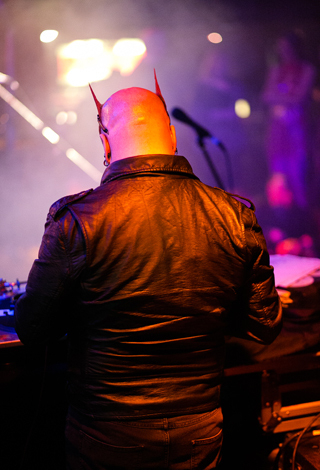 The GIT Award 2012 shortlisted artists were Bang On, Ex-Easter Island-Head, Forest Swords, Miss Stylie, Mugstar, Ninetails, Outfit, Bill Ryder-Jones, Stealing Sheep, Tea Street Band, Esco Williams with Loved Ones unveiled as winner. The team behind the Kazimier won the inaugural Inspiration Award.